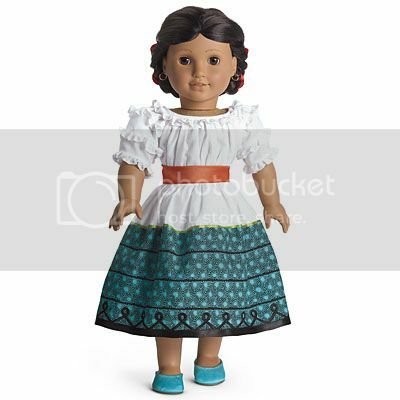 My first doll is Josefina (I just got her for Christmas! ), and lately she's been wearing moddie clothes, which she looks great in, but it would be nice to get her some more stuff from her actual collection. I was also debating getting her goat but when I looked it up on the site I was less impressed. I don't want a hard plastic goat with a fuzzy coat; I'd rather find a small stuffed goat somewhere else. I haven't completely ruled it out though; if the store has any in stock I may change my mind once I see it. But I really love the cute violin set and both Josefina and Cecile could play with it. I'm not usually one to get any playsets or accessories (I always figured I'd be a strict dolls and clothes girl) partly because I lack space and partly because my dolls are mainly display pieces and I don't play with them. 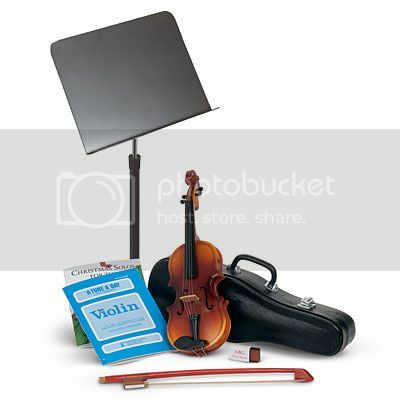 But this little violin is super cute and I always wished I could play one. So even though I can't, my dolls can.